Work Visa Lawyers › News › All News › The Australian Option – US Citizens can move to Australia under a range of visa options! 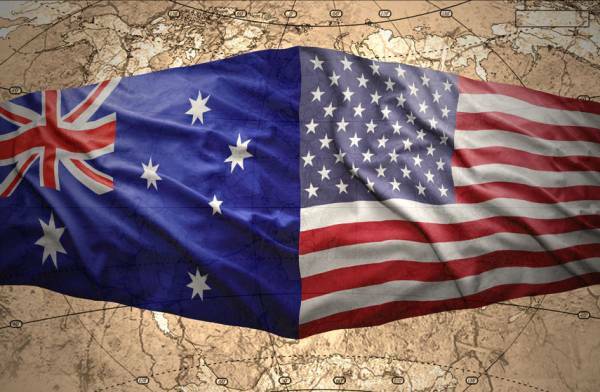 The Australian Option – US Citizens can move to Australia under a range of visa options! The election results are in. Many Americans are pondering their options. While Canada is a geographically closer option, Australia offers a practical and attractive option for US citizens looking to move abroad temporarily or permanently. In this article we explain the Australian visa options available to US citizens. The visa is a valid for 1 year and an extension for an additional year is possible if you have met specific work requirements, usually in specified high-needs industries in the regional areas of Australia. While this visa is temporary for a minimum of 1 year and for a maximum of 2 years, you may be eligible to apply for other visas for further stay in Australia thereafter. This visa is a fabulous opportunity for young Americans to visit and work in Australia, to see if they like what Australia has to offer. The upper age limit for these skilled visas is 49 years and below. You are likely someone who has completed a tertiary qualification and has worked a few years or more. These skilled visas are a pathway to Australian permanent residency, which will allow you and your family to live in Australia for as long as you want. As a permanent resident of Australia you will be eligible for social benefits including cheaper education, universal healthcare (Medicare), welfare (criteria apply) and more. Contact Work Visa Lawyers today to find out what if you are eligible for the skilled visas mentioned. Do you work for a large multinational corporation in the United States? Does the company have an overseas office in Australia? If they do then you may look for an overseas transfer by being sponsored by the Australian office of your current employer. While this would involve the endorsement and approval from your employer, this also means that you arrive in Australia with a job in hand. The team at Work Visa Lawyers are able to provide dedicated visa services to the individual and professional corporate services to the sponsoring company. We ensure the best interests of both the employee and employer are catered to when applying for the employer sponsored visas. Business visas to Australia can be complex and you will need a detailed assessment before submitting an application. The experienced Registered Migration Agents at Work Visa Lawyers are able to assist you with the initial eligibility assessment and handling the complex visa application on your behalf in an efficient manner. Contact us today to learn more. While the above lists the most common Australian visas for US citizens looking to move abroad, there may be other visa options including student visas, distinguished talent visas and so on. Each individual and family have their own circumstances, therefore it is best that you speak to a Registered Migration Agent to discover your options first before deciding what is best for you and your family in the short and long term. Australia is an ideal destination for US citizens looking to explore and discover a different country. The people, culture and environment is not vastly different from the United States so there will be less of a culture shock to Americans looking to move. Australian cities also consistently rank high in the top ten among the world’s most liveable cities, or cities with the highest quality of life. Work Visa Lawyers has already started to receive enquiries from new and past clients about Australian visa options to move to or remain in Australia. Get in touch with us today to speak about how Work Visa Lawyers can assist with your intentions to make Australia your temporary or permanent home. Crackdown on Partner Visa Applications – Australia Immigration Department gets tough! Australian Partner visas are hugely popular in the Christmas season! Why? Which Partner visa is best?